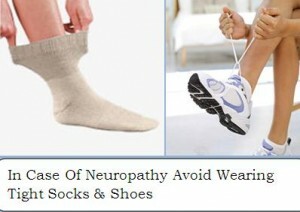 People suffering from peripheral neuropathy are increasing more and more every next day and they are in search of the solutions with which this condition can be prevented and managed efficiently. Read here and explore everything you are in search of. Professionals and experienced physicians would always recommend, especially for diabetic patients, maintaining good health feet and regular monitoring comes out to be really effective to prevent and manage the pain caused by neuropathy. Any type of uncomfortable shoes must always be prevented and keep a regular check for cuts, calluses and blisters after every certain duration of time. In addition, the level of blood sugar must also be kept in control and keep regular track of the same. There are several exercises that a professional physician can advise that would also be really helpful in prevention & management of peripheral neuropathy pain. Besides, you can even consider taking up several dietary supplements available. You can consider consulting your physician to get an efficient dietary supplement prescribed to reduce the damage caused by inflammation. Sometimes, a physician even tells you to change your dietary habits and quit smoking at all to get rid of neuropathy pain. So, if you are also suffering from peripheral neuropathy pain and are seeking for efficient management solutions, feel free to get in touch with a professional physician.